I’ve been looking around for older hand tools at antique stores and personal sales, hoping I’ll find some gems that I can use for planing or timber framing. I have some of my grandpa’s hand tools that are still in excellent condition; these older tools were made to last. 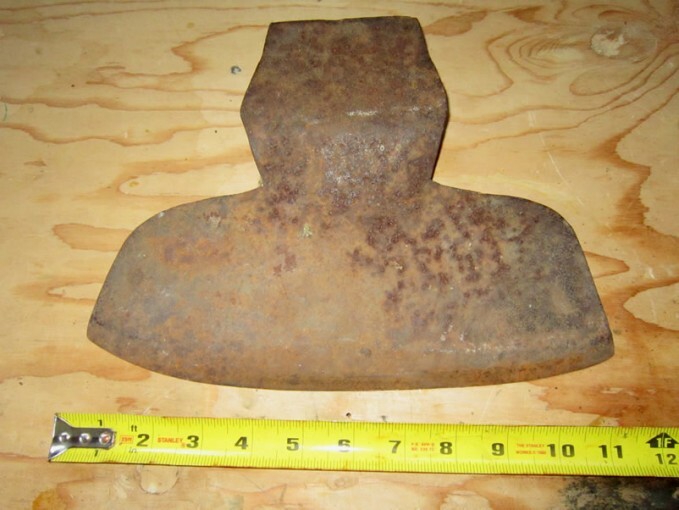 I found this head for a log hewing axe in the summer. An older gentleman was selling some of his tools, and this was from an axe that he used for timber framing homes 30 years ago. For the price tag of $10, I couldn’t resist (these axes usually run about $350 to $400 new), and I have an idea about how I can bring it back to life.